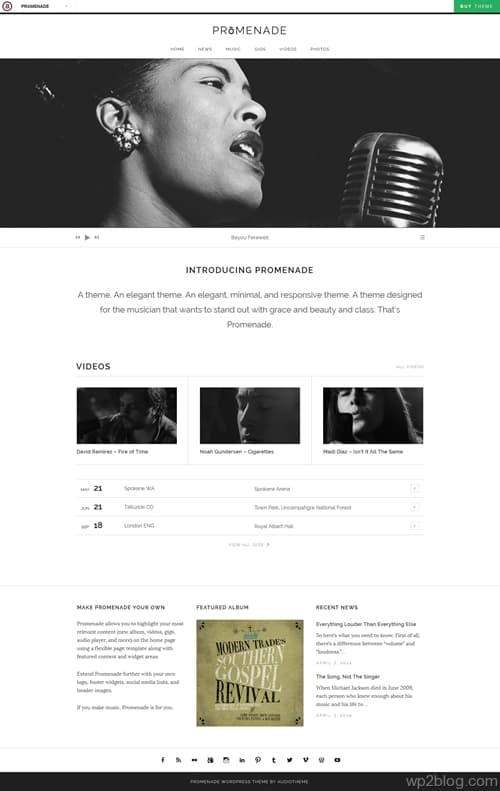 Audio Theme released an elegant, minimal, and responsive WordPress music & band theme called Promenade designed for the musician that wants to stand out with grace and beauty and class. Promenade allows you to highlight your most relevant content (new album, videos, gigs, audio player, and more) on the home page using a flexible page template along with featured content and widget areas. Highly Customizable Homepage – Promenade’s homepage is designed to showcase all of your most important content in a very clean, elegant, and visually attractive way. Feature Your Videos – With Promenade, you can prominently feature your video at the top of each video page, filling the full width of the content area. Connect with Your Fans – Let your fans easily find out where you will be playing next along with all the event details; time, date, venue information, maps, etc. Footer Widgets & Social Links – Aside from the home page and main sidebar widget areas, Promenade also features a large three-column footer widget area (under Appearance → Widgets). 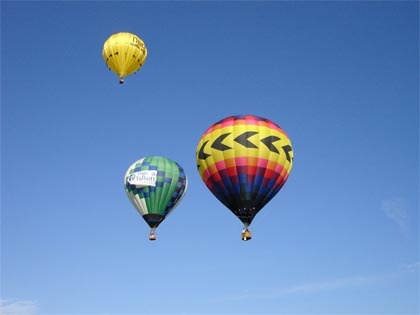 elated posts to help fans find content easier.